Mary Jane and a cup of Joe go together like two peas in a pod. These innovative cannabis coffee creations are the ultimate way to start your morning. Life just got better for morning cannabis lovers. While coffee and a cigarette may have been a favorite morning tradition back in the 1950s, your favorite brew has a new botanical friend: cannabis. Turns out, the herb and the bean fit together like two peas and a pod. Not only are coffee connoisseurs experimenting with cannabis flavor, but they’re altering the coffee experience as well. Here are 7 cannabis coffee creations for the perfect buzz. Are you a fan of both cannabis and Thai iced coffee? Then you’ll love Native Jack. Native Jack is a cold brew concoction that contains coffee, plenty of spice, CBD, and condensed milk. This caffeinated beverage is part of a growing trend of CBD-infused coffee drinks. Turns out, cannabidiol and caffeine go together quite well. Native Jack comes in a can and is available for anyone to buy online. A pack of 6 drinks runs about $43.50. The creators of Steep Fuze began their journey with the intention of creating psychoactive coffee. Yet, as they continued to experiment, they found that CBD-enriched joe provided an incredibly unique experience. Rather than amplify the mental stimulation of caffeine, CBD took away some of the anxiety and jitters associated with the chemical. The result is an energized yet clear and focused experience. Since this is a CBD product, anyone can purchase Steep Fuze coffee online. However, a 1 lbs bag will set you back about $75. For that price, you get about 450mg of CBD. But, that’s not all. Steep Fuze using a broad-spectrum hemp extract. While there is no THC, there may also be a little CBG, CBC, and other compounds in your morning beverage. Jane’s Brew is a cannabis beverage company that has a wide range of products. Not surprisingly, some of them include cannabis-infused coffee. Unlike many of the products in this post, Jane’s Brew does sell coffee and teas that contain psychoactive THC. They also offer a few CBD-enriched products as well. Medical cannabis patients in California, Arizona, and Nevada can start their mornings with a trippy instant cappuccino mix or some medicated pre-ground filter coffee. Have a Keurig? 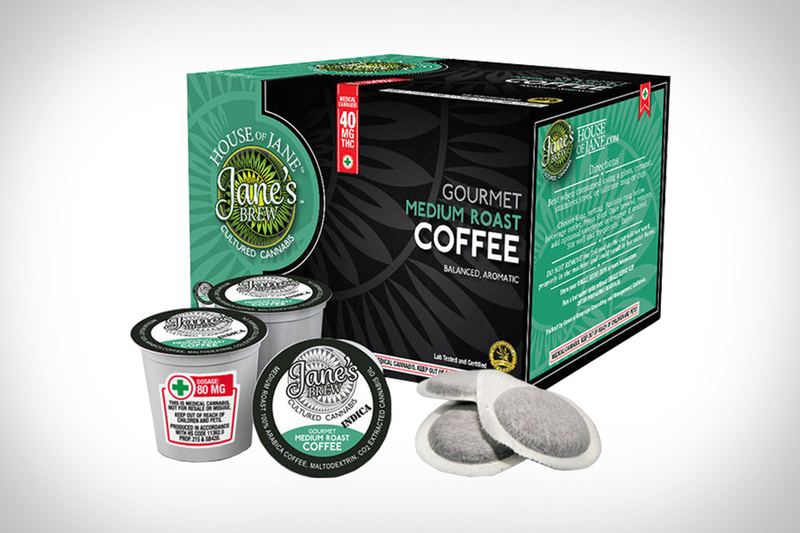 Jane’s brew also makes medicated “C-Cups”. Unfortunately, this coffee is no longer on the market. But, the technique is so fascinating that coffee connoisseurs will be impressed. Perhaps some may be inspired to try it themselves. Kian Abedini, the mastermind behind Compelling & Rich has created a way of infusing cannabis aroma into coffee beans. The technique is actually very old, but cannabis experimentation adds a unique flavor profile to the beans. Basically, Abedini exposes the beans to cannabis vapor while they are still green. This allows the beans to absorb some of the flavor and aromas from cannabis. The result is a dank, skunky roast with a fruity earthiness. Colorado Hemp Coffee is a blend of organic, fair-trade coffee beans and hemp seed. Hemp seeds downplay the acidity of the coffee beans and add a creamy, nuttiness to the brew. Obviously, the coffee beans are already roasted, but the hemp seeds are as well. The hemp seed also adds a healthy dose of essential omega fatty acids to the mix, giving this concoction some brain-boosting potential. Colorado Hemp Coffee also makes a hemp tea. Pot-O-Coffee is a California company that hopes to soon expand into Washington, Colorado, Oregon, and Nevada. They make a wide variety of THC-infused beverages, including tea, coffee, and hot chocolate. Yet, for those who don’t enjoy the psychoactive, they have a CBD line as well. Their products come pre-ground in single serve pods or filters. Their THC products come in 10mg, 50mg, and 100mg packages. A great option for those who need some serious morning medication. 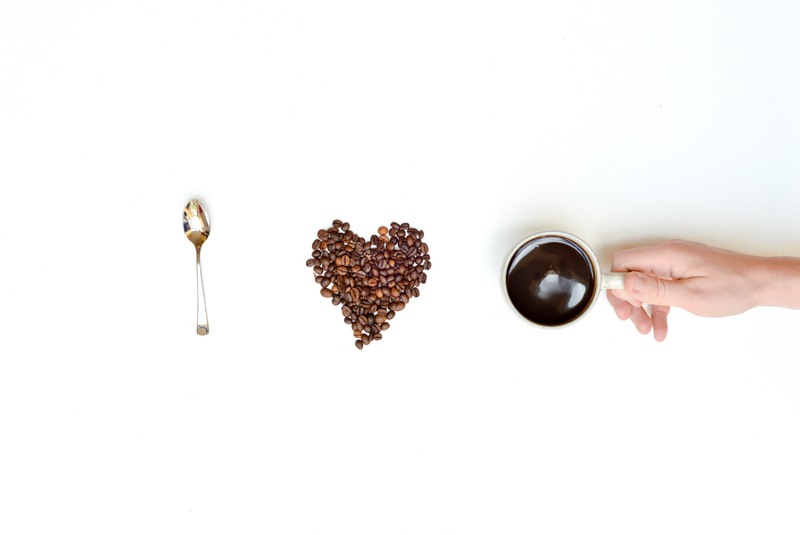 There’s no doubt about it: pacific northwesterners love their coffee. It’s not uncommon for artisan coffee shops to sell a cup of specially sourced joe for a whopping $8 a cup. Now, you can add a little cannabis to the mix for only $2 more. A Seattle-based cannabis lifestyle shop, Trichome, has already held Elevated Coffee events in both Seattle and Portland locations. With a $10-12 ticket, attendees got to sample a true Northwest Speedball–cannabis-infused, high-quality brew. The event offered Bulletproof-like coffee using a Hario 8, a unique type of coffee bean, and cannabis oil. 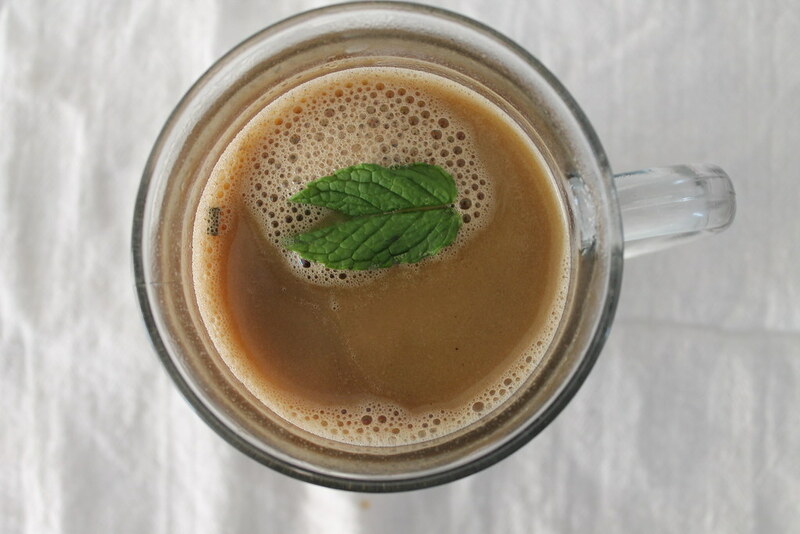 The good news is that you can make this yourself, just follow a Bulletproof Coffee recipe and add some cannabis oil or cannabutter to the mix. For those unfamiliar with Bulletproof Coffee, it’s organic coffee mixed with grass-fed butter and medium-chain triglyceride (MCT) oil. This beverage is popular in the Paleo community and is thought to assist in a wide variety of health benefits, including improved brain function and fat loss. Do you put a little herb in your coffee? Share with us on Facebook, Twitter, or in the comments below. We’d love to hear from you!